It has been developed to accurately model its real harware counterpart, built for Subhuman bassist Federico Fulceri by Ignite Amps, in 2012.
then some. Every single component on the signal path of the real analog circuit has been took into account and modeled in the best possible way to match the original sound, keeping an eye to CPU performances and real-time playability at the same time. *Dynamic 12AX7 / ECC83 coupled triode stages analog modeling. *Mono / Stereo processing support. *Selectable oversampling rate (up to 8x). *Global input / output level controls. *Double precision (64 bit) floating point mathematical model. *Two separate delay-lines for left and right with sync and manual modulation and feedback level. *2 LFO´s with 6 waves (sin/saw/ramp/trigon/pulse and s/h) with manual modulation time and depth. *Targets: mod l+r / mod l / mod r / feedback l+r / feedb l / feedb r / pan l/r / pan l / pan r / LFO 2 > LFO 1-frq / depth. *Dry/Wet, ON/OFF-button and volume controls. *Includes 16 patches (3 default user patches). -Vinyl – produces vinyl cracks and pops. -Hum – produces adjustable low frequency hum. -Hiss – produces warm adjustable high frequency hiss. -Monoizer – stereo to mono converter. -Speaker Sim – simple preset based speaker simulator. -Vowel – simple vowel filter. -GLS – vocal remover that uses mid-side technique. *Combine up to 4 devices in the rack. *VST automation and full MIDI learning. Resonator is resonance and morph effect designed to deliver the clear, penetrating sounds favoured by live musicians. It's ideal for use in trance, dance, techno, dubstep, electronica, drum n bass, big beat, dub, reggae and all other styles. LFO modulation sections was designed specialy for Dubstep genre but can be used in other styles too of course. I’ve built a small plugin, that emulates a Marshall tonestack. First, I’ve derived the transfer function of the tonestack from the circuit. Then, I’ve calculated the coefficients of the z-transform by bilinear transform. A carefully designed dynamic range compressor. The processor is dedicated to sum/bus compression and is the result of an intensive study about the musical behavior of the feed-back compressor topology. Most modern compressors analyze the input signal to control gain reduction. The feed-back compressor design however “listens” to its output. This non-intuitive approach delivers an unobtrusive and highly musical compression characteristic that is able to handle complex signals with ease. *Beautiful “Feed-Back Compression” sound and behavior. *64bit floating point precision for all relevant calculations. *Internal re-sampling via high quality linear phase filters. *Advanced stereo-linking (reduces audible cross-modulation). *Adaptive integration time RMS detector. Optional PEAK and tunable RMS detection. *Optional side-chain 6dB/Oct high-pass and 3dB/Oct energy equalization filters. *Independent release controls for fast and slow program material. *Delta preview mode. Allows to preview the difference between compressed and original signal. *Latency compensated parallel bypass (i.e. processing not interrupted). *Pre Filter with lowpass, highpass and bandpass modes. -bitcrushing and samplerate reduction are chained (classic mode). -bitcrusher and samplerate reducer outputs are separated and mixed together. -bitcrusher and samplerate reducer outputs are separated and ringmodulating. -samplerate reducer output is subtracted from bitcrusher output. *Mix switch to combine the processed signal and the unfiltered part of the input signal. *Depth control to scale the amount of compression. *Time control to scale the attack/release times of all bands. *Input and Output gain controls. *Visual display of input and gain reduction over the low/mid/high bands. Liquid Delay is a re-creation of a Modulated Delay effect found in high end studios. Modulated Delay is a delay effect where the stereo delay signal is subsequently modulated to create additional sonic interest (e.g., pitch fluctuation, frequency fluctuation, or volume fluctuation). In Liquid Delay, the stereo delay signal is processed with a flange effect and a filter. For added dynamics the filter is connected to a programmable step Low Frequency Oscillator (LFO). *Seperate left/right (mid/side) output gain. *11 freq for each band. *5 LP/HP filters for each side. *Stereo or MS EQ modus. *Solo listen for Mid/Side mode. *Output Stereo meters with peakhold. *Full Tooltips on all functions. If you’ve been searching for a graphic equalizer that looks cutting-edge and blends perfectly with your favorite DAW (assuming it’s Cubase), then you might love this new freebie. I like it when the plugins I use the most have an integrated look. It adds to the illusion that I’m doing the right thing in the mix. While the audio world has plenty of graphic EQ’s already, it wouldn’t hurt to toss in another one for good measure. *Characteristics of the Juno-60 chorus. Jeroen Breebaart sort un pack avec tous ses vstfx. *Auditor Pro professional metering plugin. *Red Phatt Pro dynamics processor. A stereo filtering module providing maximum tools for audio cutting and mangling, whether they are drumloops, voice or instrument recordings or audio samples. Two channels -12/-24/-36/-48 dB LowPass filter is driven dynamically through a fast AHR envelope, keytracked and modulated by a synchronized/free running full-featured LFO. Also available are high-pass resonant filtering, bitcrushing and distortion stages. The effect unit features full VST & MIDI control and a flexible routing of signal with additional balance, mix and dynamics fine-tune processing. T-Force Trance Gate is a Trance Gate VST-Effect for rhytmic gate effects triggered by a full envelope controlled step sequencer. With this effect you can create chopping effects to your favorite sounds. It's ideal for creating the typical rhythmic gated pad sounds commonly heard in trance music. With the envelope controlled step sequencer it's even possible to turn your pad sound into a powerful arp-like sequence. *On/off switchable host synced Step Sequencer with 32 individual on/off switchable steps. *Individual Panning for each step. *Individual Velocity Control for each step. *1 Resonance Four Pole State Variable Filter, switchable between Low Pass, High Pass, Bandpass and switchable 12/24 dB slope, Resonance can be driven up to self oscillation. *1 on/off switchable ADSR Filter Envelope controlled by the Step Sequencer. *1 ADSR Amp Envelope controlled by the Step Sequencer. *BPM-Tempo possible up to 8x speed. *Volume Control to adjust the volume between original sound and effected sound. 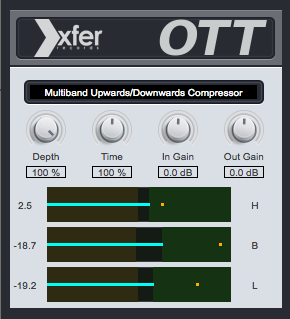 *Mix Control to adjust the amount between original sound and effected sound. *Dual Delay, switchable between Stereo mode and Ping-pong mode (right and left channels have their own tempo settings).